Here are the commitments set out in the Joint Comprehensive Plan of Action. Enriched uranium is used to make reactor fuel, but also nuclear weapons. 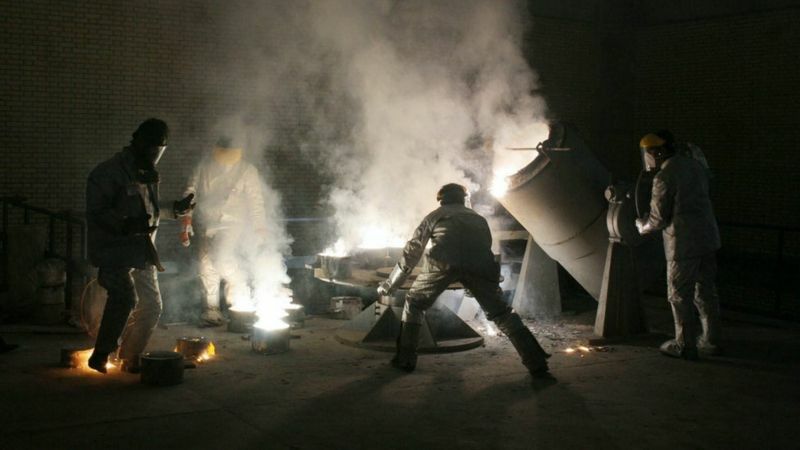 Iran had two facilities – Natanz and Fordo – where uranium hexafluoride gas was fed into centrifuges to separate out the most fissile isotope, U-235. Low-enriched uranium, which has a 3%-4% concentration of U-235, can be used to produce fuel for nuclear power plants. “Weapons-grade” uranium is 90% enriched. In July 2015, Iran had almost 20,000 centrifuges. 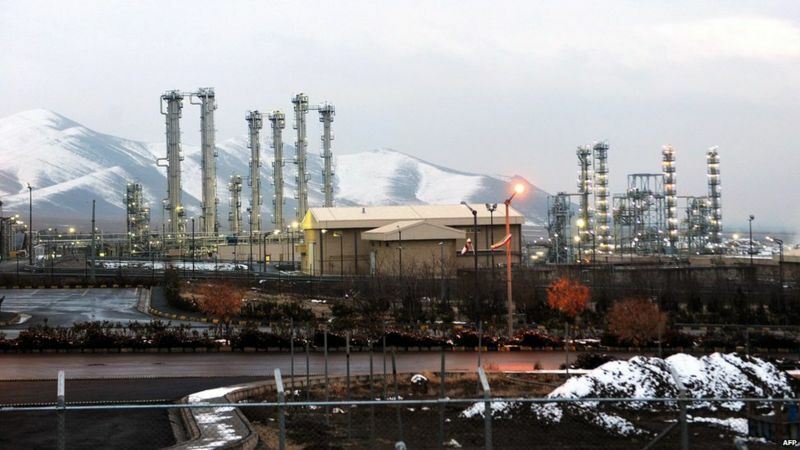 Under the JCPOA, it was limited to installing no more than 5,060 of the oldest and least efficient centrifuges at Natanz until 2026 – 15 years after the deal’s “implementation day” in January 2016. Iran’s uranium stockpile was reduced by 98% to 300kg (660lbs), a figure that must not be exceeded until 2031. It must also keep the stockpile’s level of enrichment at 3.67%. By January 2016, Iran had drastically reduced the number of centrifuges installed at Natanz and Fordo, and shipped tonnes of low-enriched uranium to Russia. In addition, research and development must take place only at Natanz and be limited until 2024. No enrichment will be permitted at Fordo until 2031, and the underground facility will be converted into a nuclear, physics and technology centre. The 1,044 centrifuges at the site will produce radioisotopes for use in medicine, agriculture, industry and science. Iran had been building a heavy-water nuclear facility near the town of Arak. Spent fuel from a heavy-water reactor contains plutonium suitable for a nuclear bomb. World powers had originally wanted Arak dismantled because of the proliferation risk. Under an interim nuclear deal agreed in 2013, Iran agreed not to commission or fuel the reactor. Under the JCPOA, Iran said it would redesign the reactor so it could not produce any weapons-grade plutonium, and that all spent fuel would be sent out of the country as long as the modified reactor exists. Iran will not be permitted to build additional heavy-water reactors or accumulate any excess heavy water until 2031. 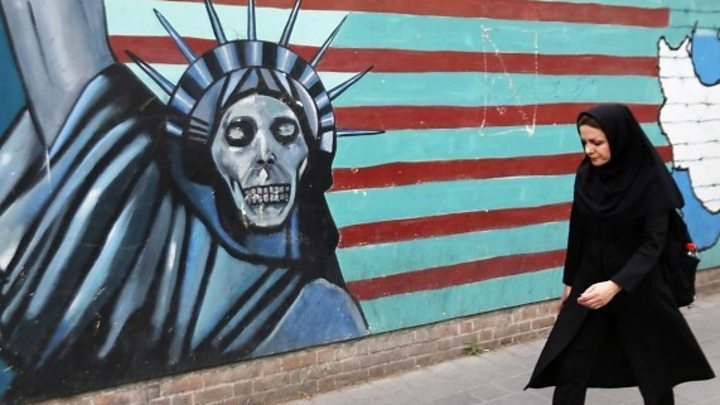 At the time of the agreement, then-US President Barack Obama’s administration expressed confidence that the JCPOA would prevent Iran from building a nuclear programme in secret. Iran, it said, had committed to “extraordinary and robust monitoring, verification, and inspection”. Inspectors from the International Atomic Energy Agency (IAEA), the global nuclear watchdog, continuously monitor Iran’s declared nuclear sites and also verify that no fissile material is moved covertly to a secret location to build a bomb. Iran also agreed to implement the Additional Protocol to their IAEA Safeguards Agreement, which allows inspectors to access any site anywhere in the country they deem suspicious. Until 2031, Iran will have 24 days to comply with any IAEA access request. If it refuses, an eight-member Joint Commission – including Iran – will rule on the issue. It can decide on punitive steps, including the reimposition of sanctions. A majority vote by the commission suffices. Before July 2015, Iran had a large stockpile of enriched uranium and almost 20,000 centrifuges, enough to create eight to 10 bombs, according to the Obama administration. 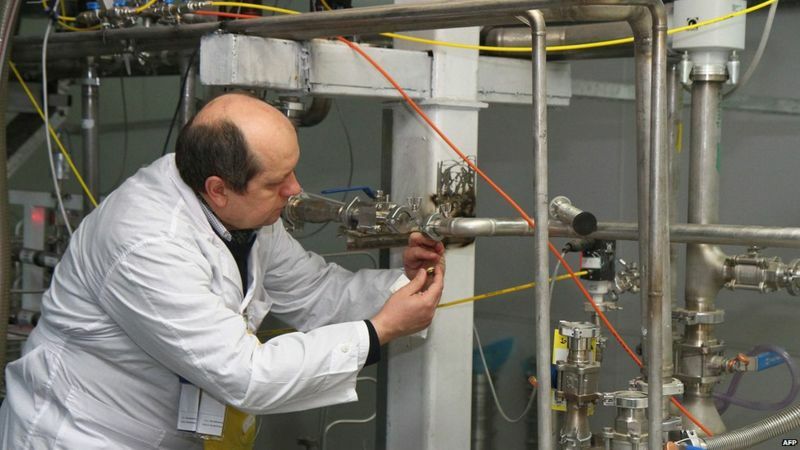 US experts estimated then that if Iran had decided to rush to make a bomb, it would take two to three months until it had enough 90%-enriched uranium to build a nuclear weapon – the so-called “break-out time”. The Obama administration said the JCPOA would remove the key elements Iran would need to create a bomb and increase its break-out time to one year or more. Iran also agreed not to engage in activities, including research and development, which could contribute to the development of a nuclear bomb. In December 2015, the IAEA’s board of governors voted to end its decade-long investigation into the possible military dimensions of Iran’s nuclear programme. The agency’s director-general, Yukiya Amano, said the report concluded that until 2003 Iran had conducted “a co-ordinated effort” on “a range of activities relevant to the development of a nuclear explosive device”. Iran continued with some activities until 2009, but after that there were “no credible indications” of weapons development, he added. 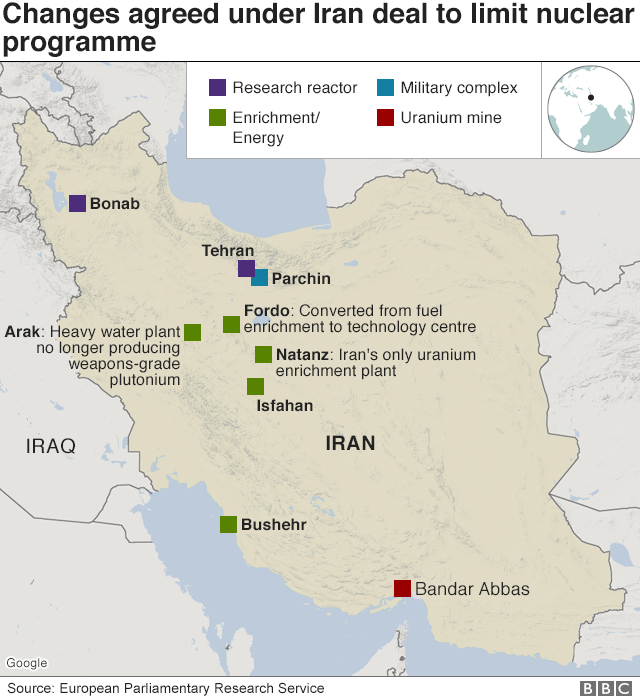 Sanctions previously imposed by the UN, US and EU in an attempt to force Iran to halt uranium enrichment crippled its economy, costing the country more than $160bn (£118bn) in oil revenue from 2012 to 2016 alone. 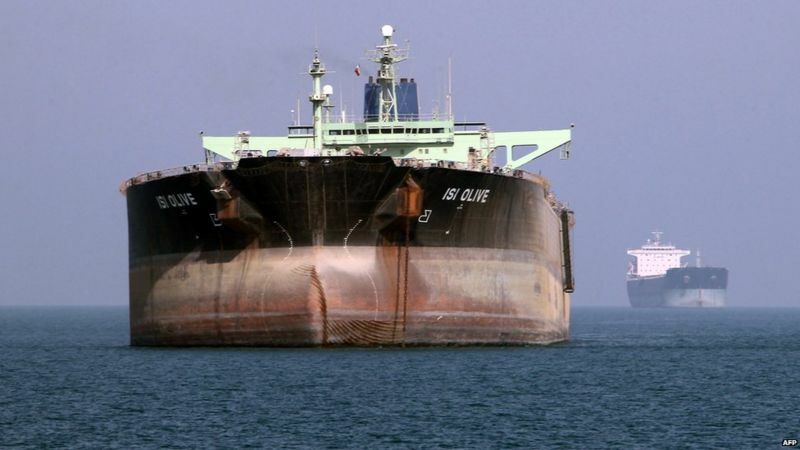 Under the deal, Iran gained access to more than $100bn in assets frozen overseas, and was able to resume selling oil on international markets and using the global financial system for trade. 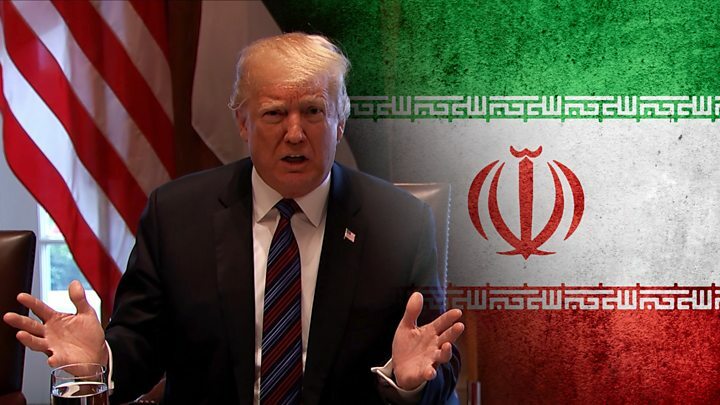 Should Iran violate any aspect of the deal, the UN sanctions will automatically “snap back” into place for 10 years, with the possibility of a five-year extension. If the Joint Commission cannot resolve a dispute, it will be referred to the UN Security Council. 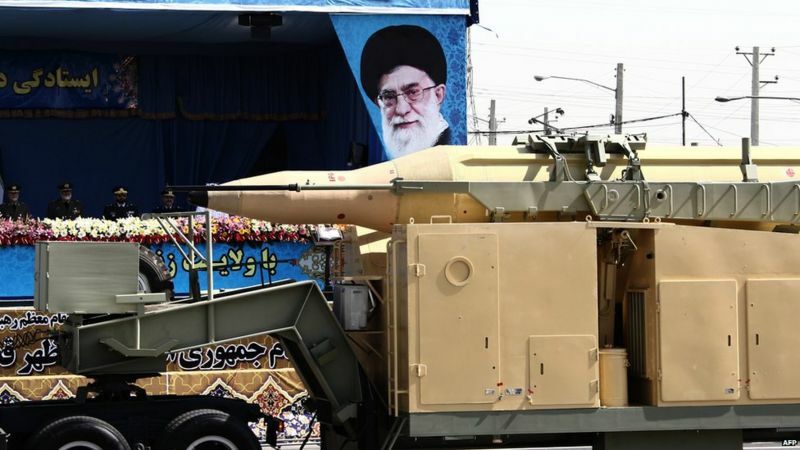 Iran also agreed to the continuation of the UN arms embargo on the country for up to five years, although it could end earlier if the IAEA is satisfied that its nuclear programme is entirely peaceful. A UN ban on the import of ballistic missile technology will also remain in place for up to eight years. A flurry of diplomatic activity is under way to rescue the Iran nuclear deal after President Donald Trump’s decision to withdraw the US from it and bring back sanctions against Tehran. German Chancellor Angela Merkel spoke with President Putin of Russia, and UK PM Theresa May has talked to Mr Trump. French ministers have been loudest in their complaints that major European businesses will be hit hard as US sanctions are re-imposed. Mr Trump says the deal is “horrible”. Among his concerns are that it has an expiry date and does not deal with Iran’s ballistic missile programme or Iranian influence in the region. On Tuesday Mr Trump honoured an election pledge to scrap US participation in the 2015 accord. Sanctions will be re-imposed in two stages in August and November. Why are the Europeans trying to keep the deal alive? Under the agreement Iran undertook to curb nuclear activities in return for the lifting of sanctions. The deal, negotiated by the US, three European Union powers, Russia and China, was designed to prevent Iran developing atomic weapons – something it has always denied trying to do. The agreement is still seen by the non-US signatories as the best way of preventing Iran from becoming a nuclear power, though they concede it is not perfect. The Europeans also stand to lose billions of dollars of business when US sanctions return. Media captionWhat is the Iran nuclear deal? A deal by the European plane-manufacturer, Airbus, to sell nearly 100 planes to Iran is now in danger. Some parts used in the planes are made in the US. Big French firms such as energy giant Total and car-makers Renault and Peugeot also have investments in Iran. Both France and Germany have seen a sharp rise in exports to Iran since sanctions were lifted in 2016. How are the Europeans trying to rescue the agreement? France has condemned the re-imposition of sanctions as “unacceptable”. 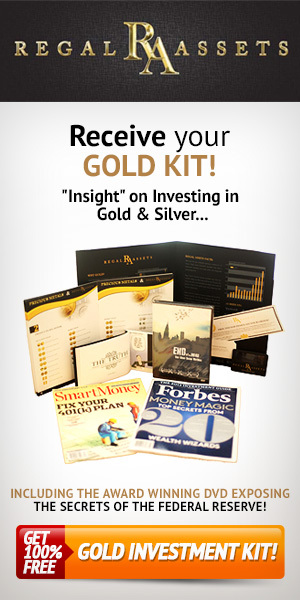 Economy Minister Bruno Le Maire said Europe had to defend its “economic sovereignty”. “Do we want to be vassals deferring with a curtsy and a bow to decisions made by the US?” he asked. Mr Le Maire called on the European Commission to look into possible retaliatory measures. But both Mr Le Maire and his German opposite number, Olaf Scholz, are also speaking to US Treasury Secretary Steven Mnuchin to seek exemptions for European companies. Mrs May spoke on the phone to Mr Trump to tell him that Europe remained “firmly committed” to the deal, according to Downing Street. Both leaders agreed on the need for talks on how sanctions would affect foreign companies trading with Iran. What else is happening on the diplomatic front? Russian President Vladimir Putin has spoken with Mrs Merkel and Turkey’s Recep Tayyip Erdogan about the deal, the Kremlin said. Keeping it alive “is something we need to discuss with Iran,” Mrs Merkel has said. She said scrapping the accord unilaterally damaged trust in the world order. Iranian Foreign Minister Mohammad Javad Zarif is to visit China, Russia and Brussels, starting at the weekend. And on Tuesday, foreign ministers from Germany, the UK and France will meet. Is the Driverless Cars a threat to The Real Estate Industry?